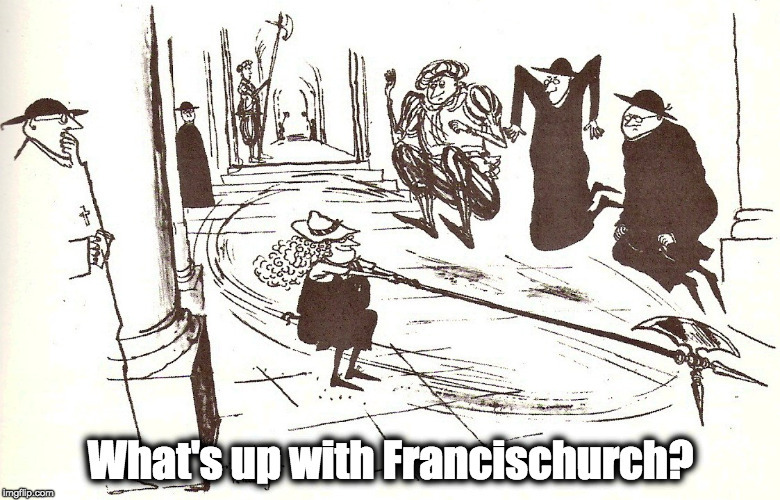 One Peter Five podcast and some other Dictatorial stuff… – What's Up With Francis-Church? Really just Steve and me jawing about how annoying everyone is. I don’t really know if I said anything useful. Then Mike Hichborn talking about how weird it is that Parolin is using one of the biggest law firms in the world to go after Info Vaticana, and what the hell is up with that, anyway? I actually don’t really see the point of podcasts in general. They’re sort of interviews, I suppose, but honestly, I’m not sure what they contribute to the general elevation of knowledge. Some people like them I guess. Today, that author’s identity was released just a little bit earlier than expected: it is none other than British author and Oxford-educated historian Henry “H.J.A.” Sire, author of the excellent historical examination of the Church’s many trials and tribulations over the centuries, Phoenix From the Ashes. 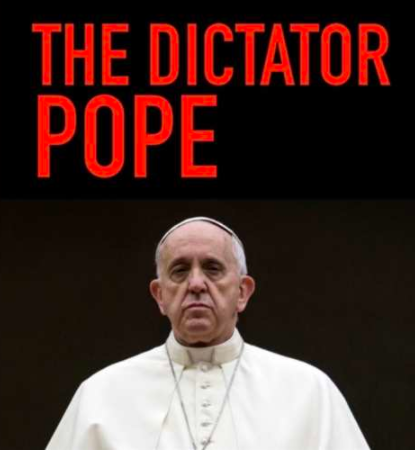 Some of those who looked disfavorably on The Dictator Pope attempted to use the author’s anonymity to discredit the research within. They should have been more careful about challenging him to reveal himself. Sire is a capable and trained historian with a penchant for research and a knack for making complex historical topics understandable and approachable. The credibility of The Dictator Pope in the minds of any serious reader should be significantly higher today than before. I’ve recently had a chance to get to know Henry a little, and I can say that this is not someone given to hyperbole. He’s really a walking example of what everyone imagines an Oxford don to be – tweeds and all – straight out of central casting. Pretty much the opposite of the “wacko-in-a-basement” image that was being spun by some of the pope’s internet buddies. And having read the book, I know that large bits of it are just things that are already available in the public realm, old news stories, some of which was only available until now Italian. (But of course, there is no language barrier on the internet.) As has been said before, the book’s impact comes from putting it all in one place. Piled up together like that and one can really start to get a feel for what a departure this pope represents from the “everything’s fine, nothing to see here, move along” attitude we’ve had from the last two popes. Some of it is new, however, the stuff that Henry apparently went to Argentina to find out and got from private sources in Rome. That stuff is pretty damning, particularly the mishandling of the financial end of things, the truly amazing moral corruption of the pope’s close associates in the Vatican, and perhaps most ominously, the sudden escalation of the already powerful Secretariat of State. The one thing it makes clear is that there is not the least shred of good will in this man they’ve put into the most powerful office in the world (at least in terms of sheer executive power). Bergoglio’s orientation is totally towards power; he’s clearly barely a believer, cares nothing whatever for doctrine, and has spent his entire career in the single-minded pursuit of power for its own sake. Bergoglio’s ideology, as we have said here many times, is Bergoglio. Any devotion he might have to a particular political agenda for the Church is secondary. The story is told that Perón, in his days of glory, once proposed to induct a nephew in the mysteries of politics. He first brought the young man with him when he received a deputation of communists; after hearing their views, he told them, “You’re quite right.” The next day he received a deputation of fascists and replied again to their arguments, “You’re quite right.” Then he asked his nephew what he thought and the young man said, “You’ve spoken with two groups with diametrically opposite opinions and you told them both that you agreed with them. This is completely unacceptable.” Perón replied, “You’re quite right too.” An anecdote like this is an illustration of why no-one can be expected to assess Pope Francis unless he understands the tradition of Argentinian politics, a phenomenon outside the rest of the world’s experience; the Church has been taken by surprise by Francis because it has not had the key to him: he is Juan Perón in ecclesiastical translation. Those who seek to interpret him otherwise are missing the only relevant criterion. But the Poles this week taught us never to forget our most important lesson: there are no heroes. No one from the Novusordoist, VaticanTwoist episcopate – No. One. – is coming to rescue us. The entire point of this whole exercise in misery is that we must turn to God. We must learn to turn to Christ, to use this whole disaster as an opportunity to strengthen our faith. For a lot of us who have tried to keep the faith with everything that’s been going on all these years, the temptation has been to turn it into a kind of political position or an ideology. The American Culture Wars, the pro-life movement, the secular culture’s incredible exaltation of sexual sin, all has created a sort of temptation, I believe, to politicise our beliefs. We are activists, where we should be contemplatives. 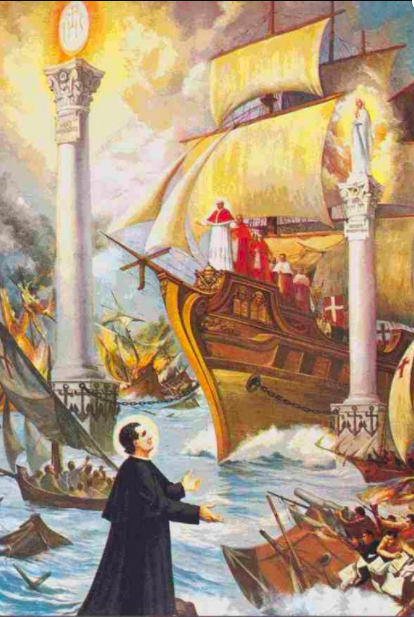 I would say inasmuch as we are being shoved out of both the secular world’s political stream, and that of the “mainstream” Catholic life, we are being reminded what the real purpose of Catholic life is: not to govern in the civic order, but to create saints; to glorify God and to become like Him. What if this whole business was allowed by God for one purpose; to turn us back to Him? We have been told many times by the saints and by Our Lady, we are to cling not to politics, not to activism, still less to our own selves. All these things can be taken from us.